(Washington, D.C., June 28, 2012). Today, Chief Justice John Roberts and Justice Elena Kagan have violated their oath of office to uphold the rule of law and the U.S. Constitution. Roberts' majority opinion upholding Obamacare was not only legally wrong, but the chief justice's failure to disqualify Justice Elena Kagan from sitting and ruling on the case — given her textbook conflict of interest in participating in the crafting of the legislation while she was Obama's Solicitor General of the U.S. Justice Department — shows a clear-cut violation of the justices' oath of office. 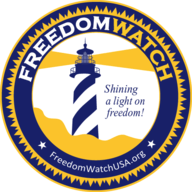 Larry Klayman, founder of Judicial Watch and Freedom Watch, had moved to have the justices disqualify Kagan. 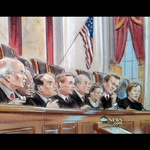 The motion and amicus brief which followed were "thrown in the trash" by Chief Justice Roberts, his having stated in the Court's annual report that he and his fellow justices are not bound by the Canons of Judicial Ethics that govern other judges. Thus, according to Roberts, justices can do no wrong under any circumstances. Klayman issued this statement in light of these facts. "Chief Justice Roberts and his colleague must now be held to account to the American people. By refusing to disqualify Kagan and then writing the majority opinion which upholds the unconstitutional violation of the freedoms the Constitution grants to We the People, Roberts and Kagan have violated their oath of office and must be subject to possible indictment by a Citizens Grand Jury. Ironically, the Court has previously held that the grand jury belongs to the people, and not the other three branches of government. Following established grand jury procedures, I will empanel a grand jury in Florida and seek the indictment of Chief Justice Roberts and Kagan. The Framers of our Constitution created the Citizens Grand Jury for the people as found in the 5th Amendment. By so doing, they created a legal mechanism to hold corrupt judges and politicians accountable under our criminal laws, thereby hoping to avoid another revolution as occurred in 1776."